My hair, my hair, my hair! I always have a story about it. Recently, I've been slacking on the whole washing experience. Please don't gag, I can't simply wash my hair every morning, it's a little labor intensive of a process. Actually, I could wash my hair at home and it would still be a labor intensive process. In between me dodging water drops, I have a little problem solver, dry shampoo. I know you're like dry shampoo- wtf but yes dry shampoo also known as hair refresher has been saving me from dirty hair days! I've been alternating between two, yeah alternating it's a competitive economy and you know I have some commitment issues. 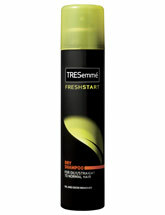 First up is Tresemme Fresh Start which helped me before a date. Tresemme you saved me from a ponytail! 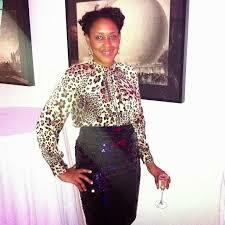 In three simple steps, I went from ashy to classy. Sort of like how you operate hairspray, I shook the can, held it about 12 inches from my head, sprayed, let it set for a few minutes, light brushing and followed up by styling as normal. Simple with great results and I was able to hit the town with ahem, refreshed hair. Tresemme was excellent, and then I discovered Batiste Dry Shampoo, a vintage brand from the UK. Like Tresemme, Batiste Dry Shampoo, absorbed the oil and grime in my hair and added a light touch of fragrance. After using Batiste, I also realized my hair had a little more oomph and body. Think Bridget Bardot or Sophia Loren back in the day. Batiste has been around for a while, and I'm a little jealous because Europe gets these fab beauty products that take forever to reach us on the other side of the pond. Lucky enough you can get both Tresemme Fresh Start and Batiste Dry Shampoo and not spend a fortune. It cost less than a wash and set so you know Lo' Diva was happy! Tried the Tresemme dry shampoo and I love it but I wash my hair once a week.